24 April 2019 is International Administrative Professionals Day and to commemorate this special day and express our appreciation for the secretaries that we know, we are partnering not 1 but 2 highly sought-after speakers to give a workshop that will benefit you not just in your careers but also personal lives. Venue: HUONE Clarke Quay (3D River Valley Road #03-01 Singapore 179023). We are located at Block D of Clarke Quay on Level 3, directly above Hai Di Lao. As an administrative assistant, it is common for you to be faced with pressures from your boss, endless calls and expectations from other stakeholders and also, staying on top of things when work seems to be piling on endlessly. When your role can be “thankless” sometimes, it’s important to pick up an essential skill so you can quickly profile and manage difficult people and expectations without stresses. According to research, less than 10% of the human population is living according to the principles and science of a flourishing life. While the workforce in Singapore is reportedly becoming increasingly unmotivated and disengaged. At the same time, there is a rising number of people across professions and age groups who are experiencing higher satisfaction, meaning, growth, impact and connections in their personal and professional lives. The Psychology of Flourishing will provide participants with practical steps and techniques to bring their personal and professional development to the next level. Be equipped with clear, insightful and easy-to-follow guidelines to radically upgrade and live a Thriving Life. A face can be read like a map that points the way to a deeper understanding of yourself and of every person you meet. And just like a map, this information is available to anyone who can read it. The art of face reading is a wonderful and powerful personality profiling tool when used to create understanding and openness. It is a skill that enables you to deepen your connection and communication with every person you meet. Learn how to instantly profile, understand and connect with anyone you meet or work with. Drawing from research in social psychology, as well as the emerging field of epigenetics. Be equipped with the skills that are taught in nearly every secret service and in some of the major global law enforcement agencies. 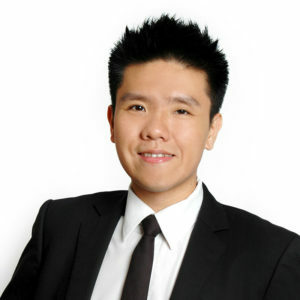 As the Founder and Principal Trainer of Flare Communications Coaching, Benjamin Loh partners his executive clients from companies like ANZ Bank, Monetary Authority of Singapore (MAS), Porsche, UOB Bank to enhance their performance on stage and communicate effectively across generations. 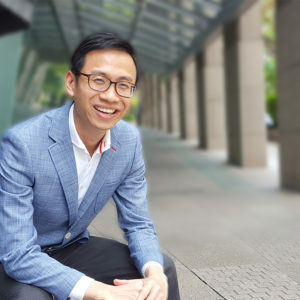 He is also one of the youngest Associate Certified Coach (ACC) in Singapore and Asia Pacific, credentialed by the International Coach Federation (ICF). His work has also been covered on over 60 occasions on over 10 media platforms like Channel News Asia (CNA), Radio Television Hong Kong (RTHK), Straits Times (ST). One of the leading and most engaging speakers of his generation, Nick is best known for his insightful and impactful presentations. Educated and trained as a Behavioural Scientist from the University of Notre Dame, Australia, Nick draws together the best practices and latest research in the fields of business, psychology, behavioural and cognitive sciences to equip individuals and organisations with the skills and knowledge they need to achieve transformational breakthroughs and performance. Registration is on a first-come-first-serve basis. This event is strictly reserved for Secretaries and Administrative Professionals and we reserve the right to reject any registration as we deem fit. All participants need to register personally in advance.